Serbia is definitely progressing, but being a country in transition implies that the digitisation of the industrial sector is still not at a high level and that investing in Industry 4.0 is a priority for the further strengthening of the country’s economy. We are here to support the country at every step of that process, says Udo Eichlinger, CEO of Siemens Serbia. Siemens, as one of the world’s largest companies, is also recognised as one of the leaders in applying new technologies, especially relating to digitisation. How is Siemens’ digital infrastructure organised? Siemens stands for a range of innovations designed to shorten the time to market and improve flexibility, efficiency and quality in the processing and manufacturing industries. They range from the new Version 15 of the Engineering Framework TIA Portal, through the Internet-of-Things concept for motors Simotics IQ, to the new Version 3.0 of the open Cloud-based IoT operating system MindSphere. Siemens is also offering a variety of contracting varieties, such as pay-per-use models designed to simplify the implementation of digital solutions, aimed specifically at medium-sized enterprises. Generally, it is important to understand that digitisation doesn’t mean doing the same as before just in a digital way – like talking over digital solutions – rather it relates much more to the disruptive change of any business by competitors “re-inventing” the business in a new and much easier manner. Manufacturing industries are also undergoing a massive period of change, with new competitors arriving on the market and drastically changing the way business is done. Digitisation also means also the “middle man” is cut out of the value chain, hence the whole “go-to-Market” will be different tomorrow. Siemens Digital Services is the company’s centre of innovation and digital development. How big is the scope of activities of this service and what are its basic tasks? Siemens Digital Services can leverage data to increase the availability of assets, optimise maintenance intervals and improve performance. Data creates transparency and enables informed decision making. By integrating the masses of data produced by machines with data from other sources, such as weather forecasts and field service reports, and performing advanced analytics, our experts can predict and prevent failures, and uncover opportunities for performance improvements, as well as energy and cost savings. Siemens Digital Services are further enhanced by innovative technologies like augmented reality, social collaboration platforms and additive manufacturing, with which we manufacture customised spare parts quickly and wherever needed. To what extent does Siemens use different forms of intelligent infrastructure in implementing projects undertaken in Serbia and the region? We at Siemens believe that the transition to digital production is a future that is already here, and that is why we support our clients in their efforts to transform their challenges into opportunities. Increasing demands by consumers for the individual, high-quality products at favourable prices are posing new challenges for industrial enterprises that can be resolved only through digitisation. This is already helping SMEs boost their competitive standing today. We are here to support the country in taking all the necessary steps in this process. Given that the digitisation process is still in its infancy in Serbia and the region, how do your local clients cope with the phases of designing and implementing projects? To compete in an increasingly challenging environment, customers need to find new ways to optimise their asset value and performance. In 2017 we organised the Siemens Digitisation Roadshow in Belgrade, Novi Sad, Niš and Kragujevac, at which we presented the innovative solutions of our company to our customers and potential customers. We are already developing digital solutions, with several customers, for their facilities or part of their facilities. I’m looking forward to the progress that will be made, even though these projects are in the early stages. Siemens employs 1,500 people in Serbia, all of whom need to be trained to adhere to all of the company’s requirements and standards. How would you assess the level of education of new workers, and what training courses must they pass before becoming operational? At Siemens we take on projects with the power to change the world and make industries smarter, to create the digital future. In order to do that we need to employ excellent people, which is why Siemens’ standards are globally high. The team of Siemens experts, engineers who comprise the majority of the company’s staff, is actively monitoring trends and changes on the market in order to successfully respond to customer’s specific needs and with the purpose of advancing existing processes. Training courses held prior to assessing the company vary depending on the workplace, but the ladder of criteria was set high in order for our employees to follow the success and expertise of the brand, which has endured 170 years of existence thanks to its innovations. The digital reform of a country is a task that lasts decades, with the end goal of increasing productivity, efficiency, product quality and market competitiveness. From your position as CEO of Siemens Serbia, how would you evaluate the activities of the state to date in this field and what do you think should be the priorities? Serbia is definitely advancing, but being a country in transition implies that the digitisation of the industrial sector is still not at a high level and that investing in Industry 4.0 is a priority for further the strengthening of the country’s economy. 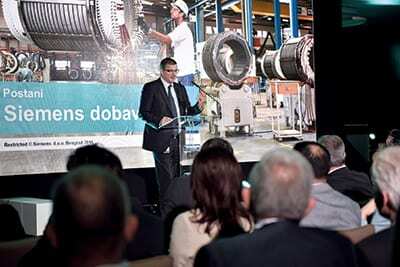 We are here to support the country at every step of the process and, considering the fact that Serbia has recognised Siemens as a reliable partner, together we can contribute to the modernisation of infrastructure through the digitisation process, which acts as a major catalyst for profitable growth. You are this year celebrating 130 years of Siemens’ operations in Serbia. What are your plans for the year ahead? During all these years, the company has remained faithful to itself, its partners and the citizens of Serbia. I can state with great pride that the year behind us was more than a tough one for Siemens Serbia. 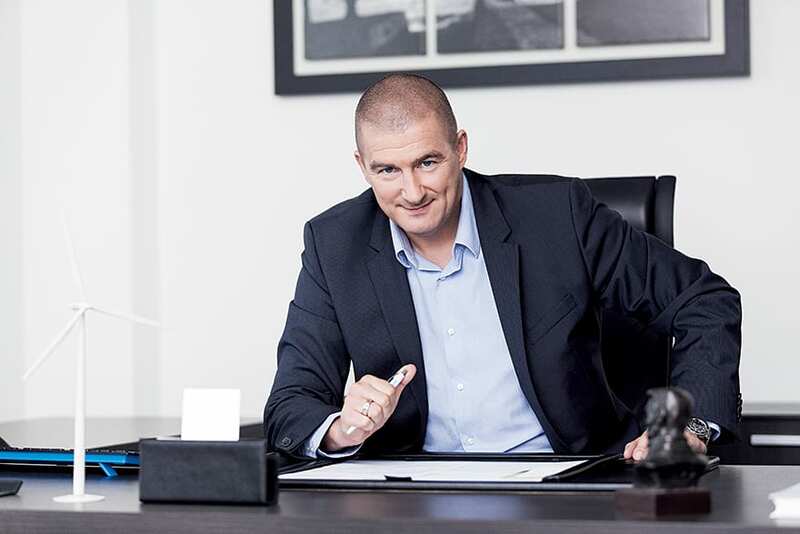 One event that marked our success was the acquisition of the Milanović inženjering factory in Kragujevac, and in the year ahead I expect important business decisions to be made for this factory. But we’re not only focusing on the next year. In order to achieve long-term success, we must focus on the things that make us strong and put other things aside. 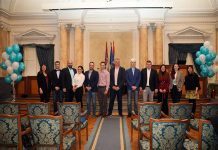 In line with this philosophy, we intend to strengthen our successful businesses and will intensify our efforts to grab further growth opportunities and tap into new fields, especially when it comes to the further implementation of digitisation in Serbia’s industry, mobility and energy sectors.